Varina Howell was born to William Burr Howell and Margaret Kempe Howell on their plantation, the Briers, near Natchez on 7 May 1826. Varina enjoyed a loving, happy youth complete with the advantages of the wealthy planter class. Varina was exceptionally well educated for a woman in the antebellum South, attending an exclusive private girls’ academy in Philadelphia, Pennsylvania, for two terms beginning when she was ten. A family friend subsequently tutored her in Latin, French, English literature, and history. In late 1843 Varina spent the Christmas season visiting Hurricane, a plantation owned by family friend Joseph Emory Davis. Here, the sixteen-year-old Howell met Joseph’s brother, Jefferson, a widower more than twice her age. They married in an Episcopal ceremony at the Briers Plantation two years later. The early years of their marriage were turbulent and fraught with conflict and separations. In 1845 Jefferson Davis was elected to the House of Representatives and moved to Washington, D.C., leaving his young bride to live with her in-laws in Mississippi. Varina had a strong personality and clashed with Joseph Davis over property, and she chafed at his attempt to have her live with a widowed sister-in-law and her eight children. Jefferson Davis left Congress to fight in the Mexican War and came home a hero with a serious injury that required Varina to nurse him back to health. Soon thereafter, he was appointed to the Senate, and he eventually allowed Varina to join him in Washington, where they resided for the next twelve years. 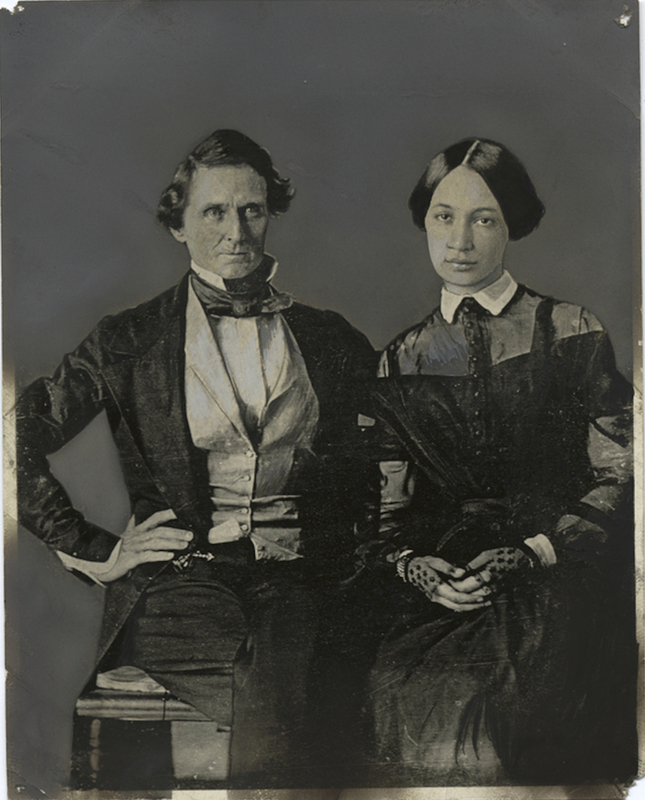 The couple had six children, Samuel (1852–54), Margaret Howell (1855–1909), Jefferson Jr. (1857–1878), Joseph Evan (1859–64), William Howell (1861–72), and Varina Anne “Winnie” (1864–1898). Varina Davis was a devoted mother and worked as her husband’s secretary to advance his political career. She also developed deep friendships with other well-connected women such as Mary Boykin Chestnut. When the South seceded, Jefferson Davis preferred to serve as a soldier but agreed to be president of the Confederate States of America. Varina acted as First Lady in both Montgomery, Alabama, and Richmond, Virginia, attracting criticism from political enemies. Some thought it was improper for Varina Davis to entertain while pregnant, and some Virginia blue bloods did not think her enough of a southern lady. Regardless, she strove to support her husband and the Confederacy. As the war ended, the Davises attempted to escape to Texas and continue the fight. Union troops captured them in southern Georgia. Jefferson was considered a traitor and imprisoned in Fort Monroe, Virginia, though he was never tried and was released in 1867. Varina took her older children to Canada with their grandmother and then moved with her infant daughter to Virginia to be near the prison, writing to her husband and occasionally visiting with him during his incarceration. Varina took financial responsibility for her family and borrowed money to keep the family afloat. The next several years were bleak for the Davises as they faced homelessness and suffered serious illnesses. The family traveled, accepting social invitations from European elites. Jefferson did not adjust well to postwar America. In 1869 he accepted a job with an insurance company in Memphis, but the company failed. The couple continued to fight with his brother, Joseph, over the family plantation, Brierfield. Jefferson eventually won the court battle, but the plantation brought in little revenue. Varina developed heart trouble during a visit to England, and she remained there for medical care, while Jefferson returned to the United States in November 1876 and within three months had taken up residence at Beauvoir, a plantation on the Gulf Coast owned by a widow, Sarah Ellis Dorsey. Varina returned to the United States in October 1877 but did not want to join her husband at Beauvoir and remained in Memphis. She later changed her mind and moved to Beauvoir in May 1878. Jefferson Davis began writing his account of the Confederacy, with Dorsey acting as his secretary. Davis hoped his book would restore financial security to his family, but the book sold poorly. When Dorsey died in 1879, she bequeathed Beauvoir to Jefferson and Winnie Davis, leaving Varina out of the will. Winnie joined her parents at Beauvoir, where the family received many visitors. Mother and daughter cared for Jefferson and helped him with articles and speeches until his death in December 1889. Varina Davis devoted much of the remainder of her life to writing a voluminous account of the Confederacy in which she defended her husband and tried to ensure that he would be remembered as a hero, even taking the name Varina Jefferson Davis as she pursued her literary career. In 1892 she stunned southerners when she and Winnie moved to New York City, where she spent the last years of her life writing articles and worrying about money. Winnie died in 1898, and Varina died in October 1906 and was interred beside her husband in Richmond’s Hollywood Cemetery.